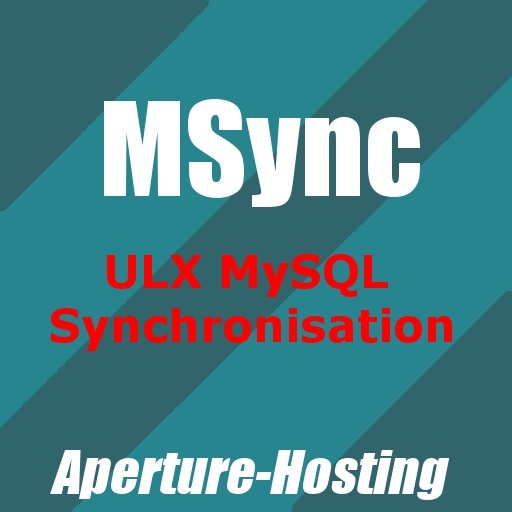 MSync is the all around solution for server synchronisation. MRSync will keep your staff team synchronised with possibility to have 2 staff teams. - Ability to set Ranks as 'ignored' to make them not saving in the database. MBSync is the Free solution for synchronised bans. If you ban someone hes banned on your server network. - Overwrites "ulx ban","ulx banid" and "ulx unban"
After that you need to setup a database for your ranks. 2. Add a database scheme to it for MRSync. 5. If it says [MSync] Connected to Database you are done.